Overview of the western African country of Ghana, with topography and major cities, as well as lakes and rivers. 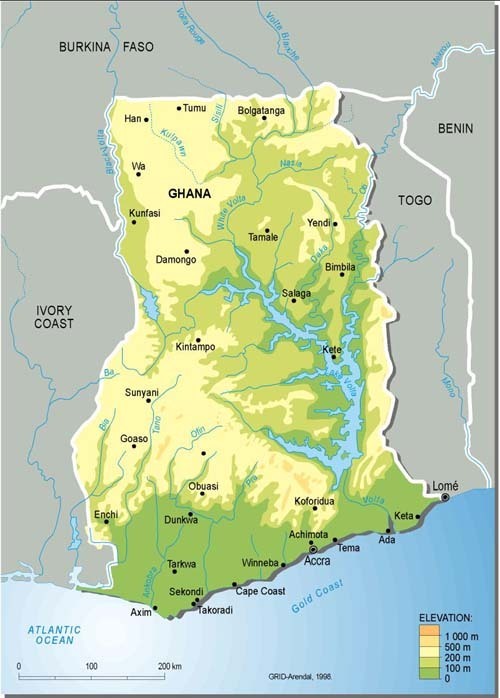 Ghana is inhabitaed by 21 million people, and the capital is Accra, on the Atlantic coast. 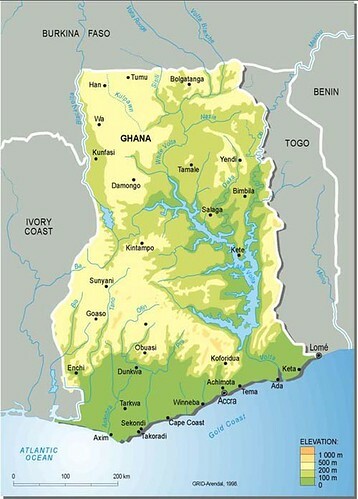 Environmental issues, according to the CIA factbook, are: recurrent drought in north severely affects agricultural activities; deforestation; overgrazing; soil erosion; poaching and habitat destruction threatens wildlife populations; water pollution; inadequate supplies of potable water.